VATICAN CITY (March 16, 2013) — Not only was today a first for the new Pope, but it was a first for me personally. 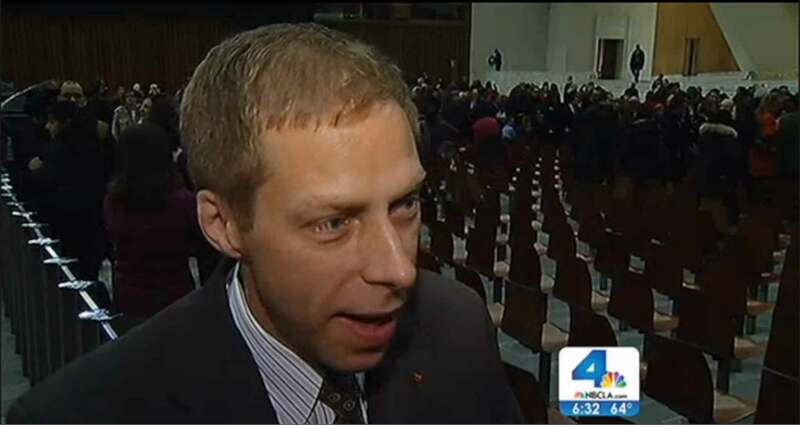 After Pope Francis’ historic audience with journalists (see my earlier blog post), I was interviewed by KNBC News (NBC4), Los Angeles. It was my first interview with a major market television news reporter. Anchor/reporter Robert Kovacik reported on the audience for NBC4 News at 6 p.m. this evening in Southern California. Several of my friends from Los Angeles saw the report. It later went national. Friends from across the country told me they spotted me on the news. Kovacik asked me what I thought of the new Pope. What did I say? You’ll have to watch the entire thing to find out. Look for me around the 3 minute-mark.